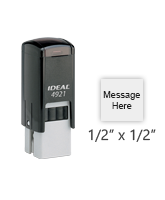 Finding the right tools for the job has never been easier with our selection of Ideal self-inking stamps. 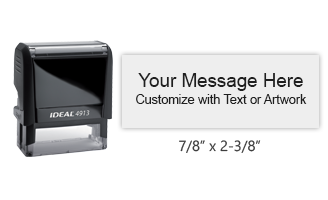 When looking to communicate pertinent information over and over, you need a tool that lets you do so without added hand strain. 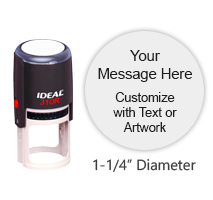 With stamps, you can communicate all sorts of information with a simple push and release movement. 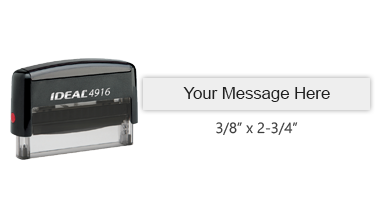 Best of all, a self-inking stamp is one of the easiest and cleanest to refill for added convenience. 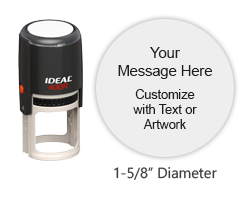 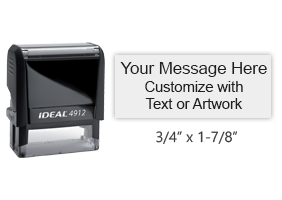 As one of the leaders in the world of stamps, Ideal is one of the benchmarks for quality and performance so rest assured you are getting a great tool for your home or office. 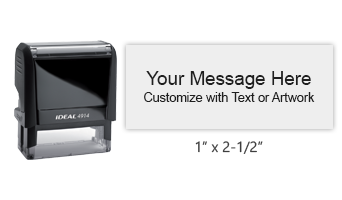 These Ideal self-inking rubber stamps are available in several options to help you find one to best match your needs. 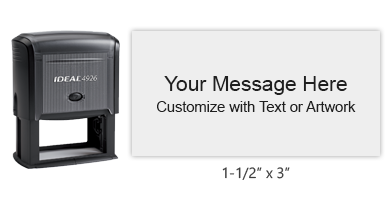 Choose from 11 different ink colors ranging from black and red to hot pink and yellow. 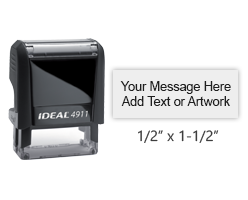 While they are not recommended for glossy surfaces, Ideal self-inking stamps are great on almost any other type of paper surface or paper weight. 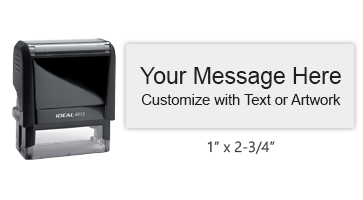 We offer a range of model types and impression sizes (up to 10 lines in select models) to make sure you find the one that is right for your communication needs. 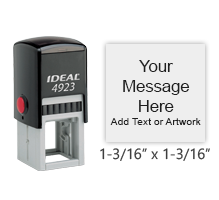 Whether looking for a small, round pocket stamp you can take on the go with you or a large rectangular model for desktop use, Ideal self-inking rubber stamps has a size that’s just right for you. 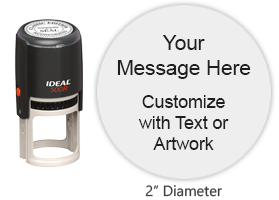 Best of all, our customization team can easily create a custom message using our laser engraving technique to ensure a crisp, clear impression with every use. 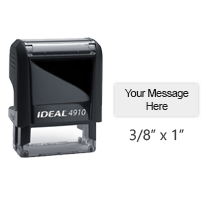 When you need a stamp that will give you thousands of clean impressions in a size right for your communication needs, this collection has you covered! 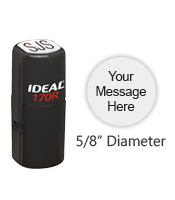 If you have any questions regarding any of the products we proudly offer, please contact us for further assistance. 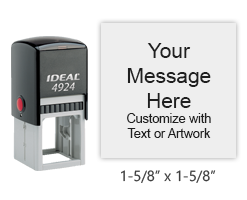 We are dedicated to providing our valued customers with a pleasant shopping experience from start to finish and would be happy to help in any way. 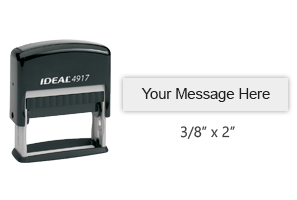 50% off all 19 sizes! 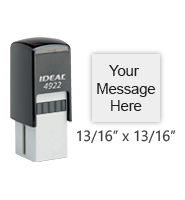 Impression Size: 1-3/16" x 1-3/16"